Redirect your kids to the Pink Whale Challenge, which aims to reinforce their belief in themselves. It's the anti-Blue Whale Challenge. A sinister social media game originating in Russia has taken the life of a 14-year-old in Mumbai. The child jumped off a building, apparently having been directed to do so by the administrator of a social media group. The Blue Whale Challenge, as it is called on social media, has already been flagged by companies and governments, but this was the first instance of the challenge having spread to India. However, the Blue Whale Challenge is neither new, nor the first. In fact, it has been known by other names. Reports say the game originated on Vkontakte, a Russian social media website, which is also amongst the largest in the world. Users seek out communities called “death groups” or “suicide groups”, where they enter the challenge. The only way to win the challenge is by dying. At first, we thought these were multiple games. After all, with reports attributing 130 deaths to this game, it couldn’t have started today. But turns out, the other games are all part of a bigger challenge, one that spans over 50 days in total to make up the Blue Whale Challenge. If you’re watching your child’s online activities, look out for keywords like “F57” or “F58”, “Quiet House”, “The Silent House”, “Wake me up at 4:20am”, The Sea of Whales and of course, Blue Whale Challenge. All of these could appear in hashtagged form as well. All of these seem to refer to various tasks within the game. For instance, players near the end of the 50-day term, users are directed to wake up at 4:20am every day and perform certain activities. The goal, presumably is to deprive them of sleep, and hence deter proper brain activity. 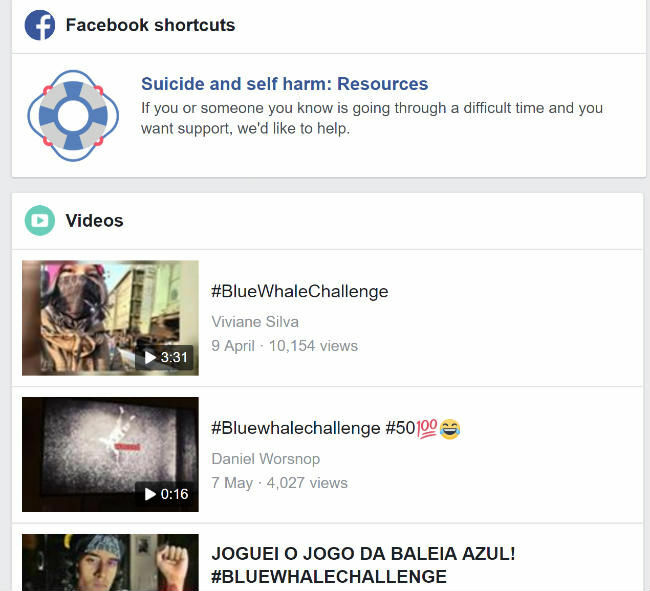 While the game began in Russia, the Blue Whale Challenge is well within the Facebook, Twitter and Instagram networks now, although the "death groups" haven't been spotted on these platforms yet. While Twitter searches are currently flooded by news reports and retweets, both Facebook and Instagram do show horrific photos of those who took the challenge. Also, both these social networks warn you against suicide, trying to redirect you towards suicide helplines. What is the Blue Whale Challenge? To join, users have to put out a status message on Vkontakte, with certain appropriate hashtags. These hashtags are seemingly monitored by the administrators of the challenge. We have intentionally withheld screenshots and details about the hashtags that are used to find the game. Eventually, an administrator will get in touch with you. This administrator warns the player that the only way to win the challenge is by dying. If the player prevails, the game begins and the administrator will give you tasks regularly. Another theory on how to play the game is to join these “death groups”, where users are put in touch with an administrator, who proceeds to give them various tasks, designed to lead to depression and include self mutilation. According to a Reddit user, who apparently played the game, the game’s administrator(s) does not let players leave the game once they’ve entered, threatening their friends and family if they do so. Players are also required to submit photographic evidence of having completed the tasks they’re given. 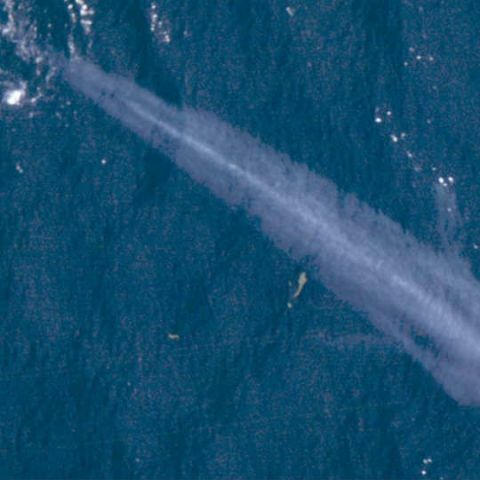 The most common amongst these tasks seems to be to carve out a Blue Whale on one’s skin, using a razor or blade. The Reddit user mentioned above says he tried to leave the game, but was introduced to horrors he didn’t imagine were possible. Needless to say, if you plan to enter the game just to see what it is...DON’T. The games tasks seem like they're designed to confuse the mind and lead to depression. Many of the victims left a sombre message before they died. The Mumbai victim posted a photo with the message, "Soon the only thing you would be left with is a picture of me." The perpetrator of the game, Philip Budeikin, had been jailed last month, but the challenge seems well underway still. 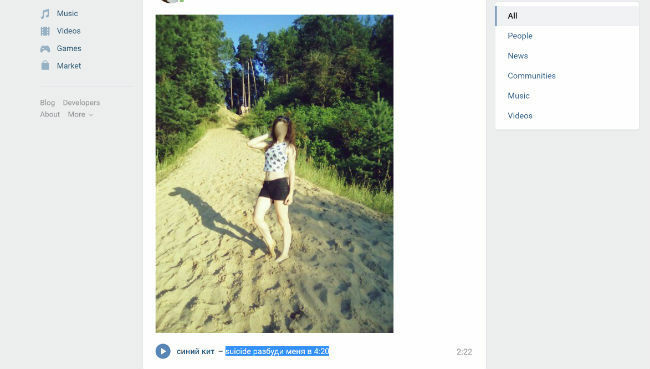 A Vkontakte search for Russian hashtags relating to the game still show selfies posted by teenagers, with mentions of the game. There are also strange audio files attached to some images, although the groups themselves are quite difficult to find. Our efforts at doing so came up short. To its credit, administrators at Vkontakte have taken down various dangerous communities since the spread of the Blue Whale Challenge, and created a special form for users to report such groups. Screenshots from Vkontakte. Faces and names have been blurred to protect identities. As a teenager and Internet user, the best way to protect yourself is to simply avoid anything to do with the Blue Whale Challenge. Curiousity killed the cat, in this case, quite literally so. If you notice unusual activities amongst your peers, it's best to report it to an elder, like your parents or teachers etc. For parents, it's important to educate yourself about this game/challenge, and how it works. This will enable you to stop your children from going awry. The Blue Whale Challenge is designed to take one's self confidence away, and leave them in a state where they think suicide is indeed the best way. So, a psychiatrist's help for the child involved and reports to the appropriate law enforcement are of the utmost importance. We don't always recommend it, but you may want to install a packer sniffer on your home network, allowing you to monitor traffic on said network. The tasks given to the players can be monitored by parents, in order to get ahead of the situation. Some of the known tasks include watching scary movies at 4.20am, mutilating various parts of one’s body, listening to strange audio files, fighting and alienating oneself from friends etc. Here’s a list of tasks, taken from another Reddit thread. Of course, the may be others as well. Comment from discussion What are the exact 50 challenges in the "blue whale challenge"?. 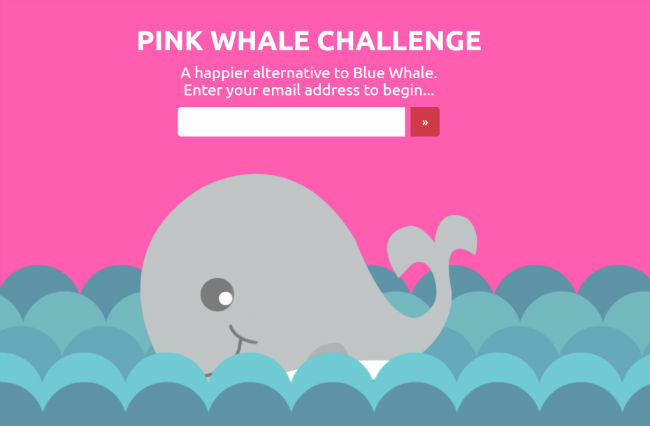 Blogger Higgypop created what he calls the "Pink Whale Challenge". The game is the polar opposite of the Blue Whale Challenge, and doesn't need users to interact with anyone. It spans over a week, but gives users tasks designed to make them happy and believe in themselves. The game has become a phenomenon already, with overloaded servers from the many users who have joined. The Pink Whale challenge asks users to write down five things about themselves. Instead of mutilating oneself, the Pink Whale Challenge asks users to write how much they love themselves, on their bodies. Here's a list of tasks from the Pink Whale challenge. Write down five things you like about yourself. Buy yourself your favourite treat or snack. Write down three things you're really looking forward to. Draw a picture of the happiest moment of your life. Call a friend that you don't usually call for a chat. Make a friend laugh, don't give up until you succeed. Spend 20 minutes teaching yourself how to juggle, use the internet for help if needed. Trying to explain technology to my parents. Failing miserably. What is a MiniDisc and how does it differ from a CD? What is OS and how does it differ to the compiler? what is VPN and How to use it??? What is the website from we can down softwares? Can you tell me how can I submit my photos in digit so it may feature in you magazine ? What is Linux and why is it so popular? How can you buy the Pixel C in India?